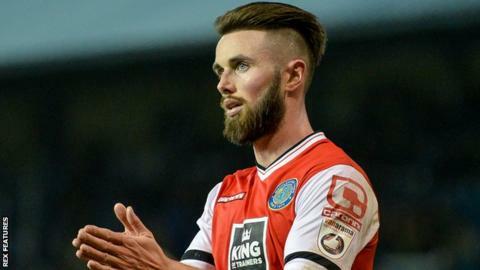 Macclesfield Town players Chris Holroyd, Ritchie Branagan, George Pilkington, and Paul Lewis have all agreed new contracts. Forward Holroyd, 29, goalkeeper Branagan, 24, defender Pilkington, 34, and midfielder Lewis, 21, helped the Silkmen finish 10th this season. The club have also taken up the option to extend John McCombe, Jack Sampson and Chris Sutherland's deals. "I am hoping that more signings will follow," said boss John Askey.